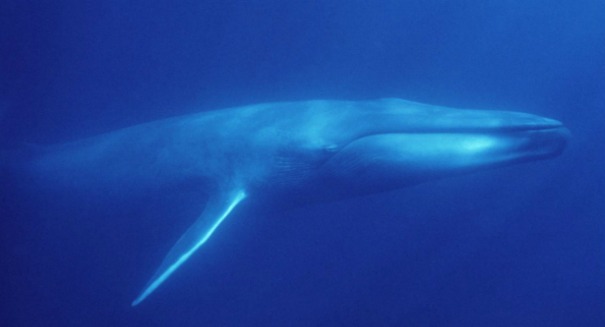 A new study has come to a frightening conclusion about the future of blue whales and other large species on our planet. Scientists have found some very bad news when it comes to the massive creatures that roam our planet — a new survey of extinction patterns indicates that the largest species in the ocean are the most likely to face extinction thanks to the activities of humans. The larger an animal it is, the more at risk it is, scientists from the Stanford University found, according to a statement. This is because that people tend to target larger species for consumption. The researchers made this determination by examining the relationship betwen risk of extinction and body size over the last 500 eyars for mollusks and invertebrates, and then comparing modern extinction patterns to ancient ones. They examined the fossil record dating back 445 million years, although the last 66 million years — since the last mass extinction event — received the bulk of their focus. They found that over the last 500 years, body mass had corresponded with the threat of extinction big time. It raises concerns that we may be seeing megafauna on our Earth dwindle toward extinction, much like the mammoth and saber-toothed tiger many years ago.